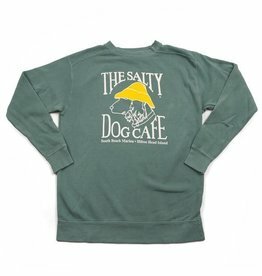 Garment dyed long sleeve heavyweight fleece with large Salty Dog logo on front. Pre-shrunk cotton. 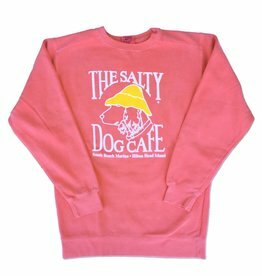 80% ring spun cotton/ 20% polyester fleece. Woven twill tape at back neck. Double needle neck, armhole, ribbed cuff and bottom band.